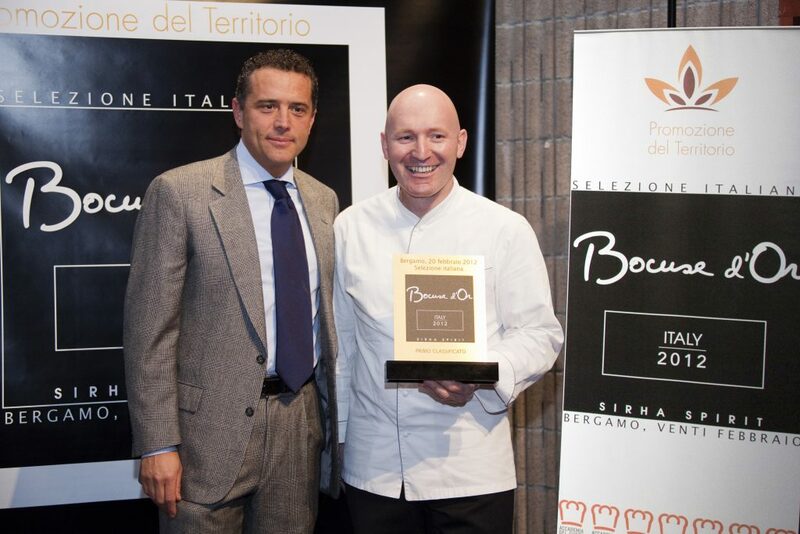 Bergamo, 21 February 2012 Alfio Ghezzi is the winner of the Italian contest of the Bocuse d’Or. Yesterday the Trentino chef competed at the Accademia del Gusto (Academy of Taste) and today has been proclaimed the Italian cuisine standard bearer for the European trials of this prestigious competition. Alfio Ghezzi arrived in Trento in 2010 at Locanda Margon, the Ferrari Winery’s restaurant, which gained its first Michelin star in 2001. Born in 1970, Alfio Ghezzi has a Chef Diploma and studies in hospitality management, he was commis chef (chef assistant) and chef de partie (station chef) in prestigious hotels at well-known Italian locations. After several years dedicated to teaching, he returned to his original vocation of cooking. He had the opportunity to learn this art from two great masters, Gualtiero Marchesi and Andrea Berton. With the first, he worked at the Hosteria dell’Orso in Rome and at the Casinò Les Princes in Cannes, with the second he was his sous-chef at Trussardi alla Scala in Milano. The two dishes presented were: truffled Bresse chicken as the meat dish, liver parfait hazelnuts and carnelian cherries, ravioli with ricotta cheese, fava beans and a small finanziera “like a potato flavored with lemon, crunchy outside and soft inside” and for the fish dish steamed sole and Hollandaise sauce of trout eggs, gray shrimp, daikon, smoked eggplant and powder rosemary oil, artichokes and sole wings with soy and horseradish, sea salt liver, cockscomb, carrot and passion fruit. 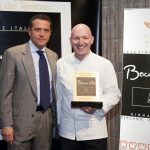 The European competition takes place in Brussels on March 21, where the Italian winner will compete with the best European chefs. A team involving the best Italian chefs, in addition to Perbellini there are Enrico Cerea (President of Jury, Da Vittorio Restaurant – Bergamo – 3 Michelin stars), Andrea Berton (Trussardi alla Scala Restaurant – Milan – 2 Michelin stars), Alessandro Breda (Gellius Restaurant – Oderzo TV – 1 Michelin star), Davide Oldani (d’O Restaurant – Cornaredo MI – 1 Michelin star), Antonella Ricci (Al Fornello da Ricci Restaurant – Ceglie Messapica BR – 1 Michelin star) and Giovanni Santini ( Dal Pescatore Restaurant – Runate, Canneto sull’Oglio MN – 3 Michelin stars).